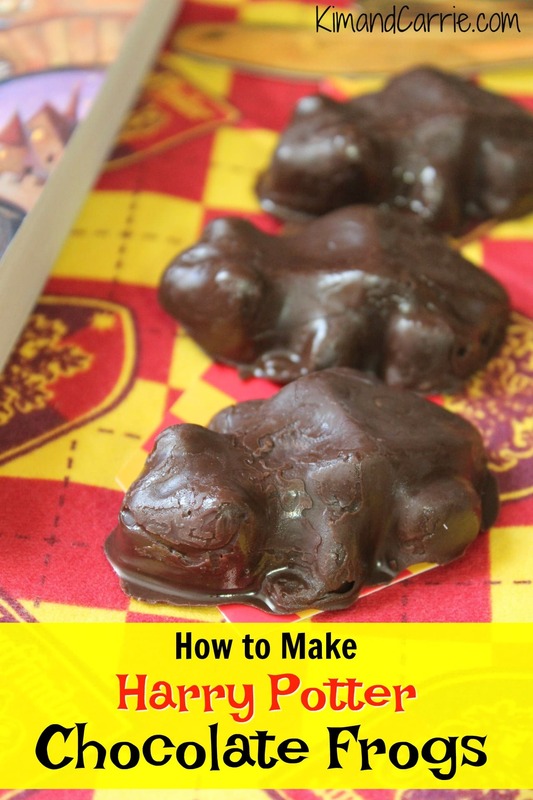 For Harry Potter fans, these Chocolate Frogs are the perfect sweet recipe to make! 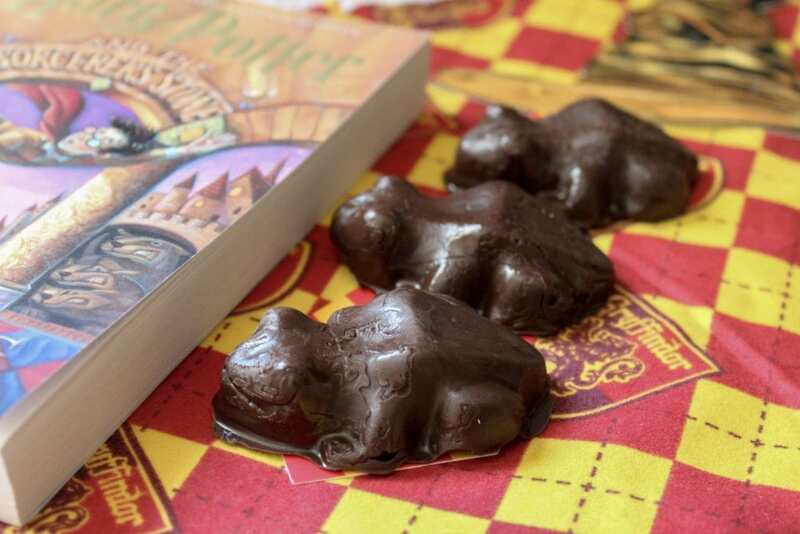 If you love Harry Potter, you know about Chocolate Frogs! And if you’ve been to Universal Orlando and the Wizarding World of Harry Potter, you know that you can buy those famous Chocolate Frogs at Honeydukes in Hogsmeade and Sugarplum’s Sweet Shop in Diagon Alley. But those sweet candies can cost a lot in a theme park. Plus they melt in the heat of Florida in two seconds! So why not make your own Harry Potter Chocolate Frogs candy? It’s so super simple to make! You only need two ingredients! 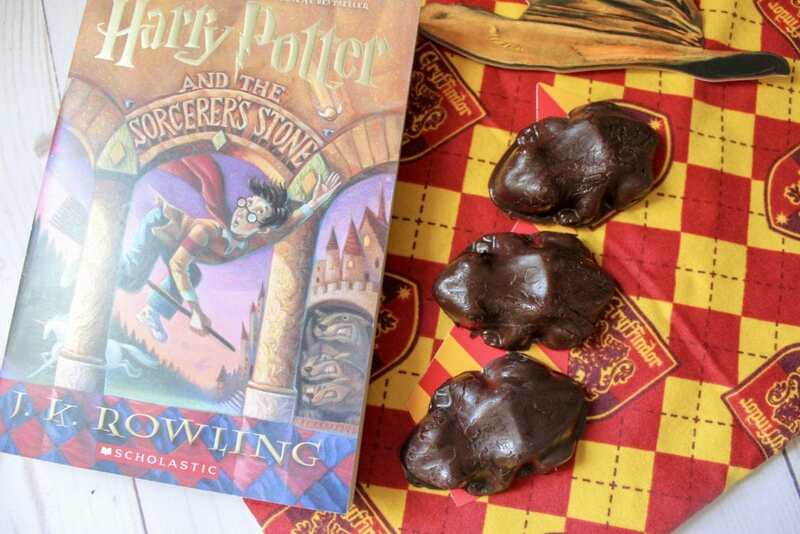 These are great DIY Chocolate Frogs for celebrating all things Harry Potter at home. Maybe you’re having a movie marathon? Or you’re throwing a Harry Potter themed birthday party? Of course, what could be better than bringing these edible Chocolate Frogs with you to Universal Orlando and the Wizarding World of Harry Potter? If you’re bringing them to the theme parks, just make sure that they aren’t in the melting Florida heat! Either keep them in a cooler, or bring them during cooler months, such as November to March. Of course, maybe you want the official box of Chocolate Frogs candy that is sold at Universal Orlando theme parks. Or maybe you want the special Hogwarts Wizard Cards. If you DO want to buy official Harry Potter Chocolate Frogs, we were surprised that you could find them online! Even Jelly Belly sells Harry Potter Chocolate Frogs with special collectible cards! If you want to save a fortune on Chocolate Frogs candy, though, it’s easy to make these wizarding treats at home! **We suggest using this amazing Official Harry Potter Chocolate Frog Mold. It comes with 8 Harry Potter boxes for you to pack up your treats in! 1. 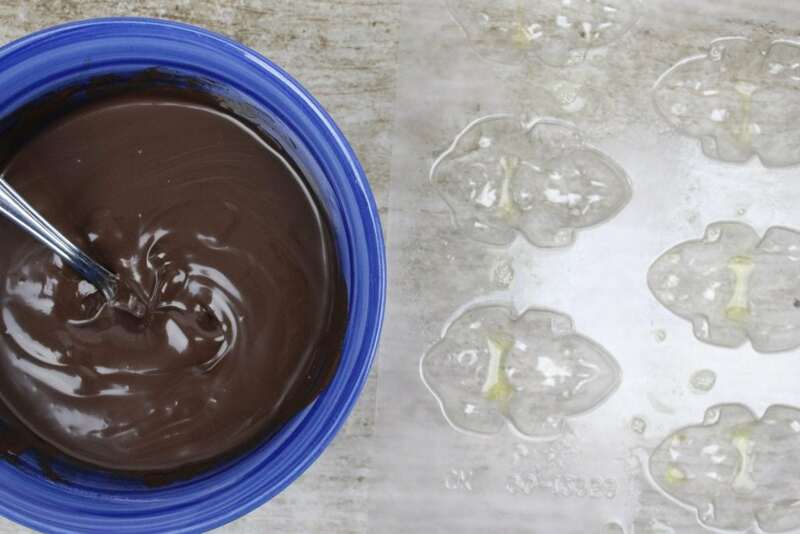 In a microwave safe bowl, microwave the chocolate and a tablespoon of vegetable oil for 45-55 seconds. You can melt in 20-25 second increments, stirring the chocolate in-between each. 2. Pour the melted chocolate into the frog mold, making sure to evenly fill each mold. You can spray the molds with a non-stick spray (such as PAM) if you’d like first, to ensure that they don’t stick. The chocolate should be level with the plastic on top, not a mound of chocolate in the mold. Otherwise the frogs won’t lay flat. 3. 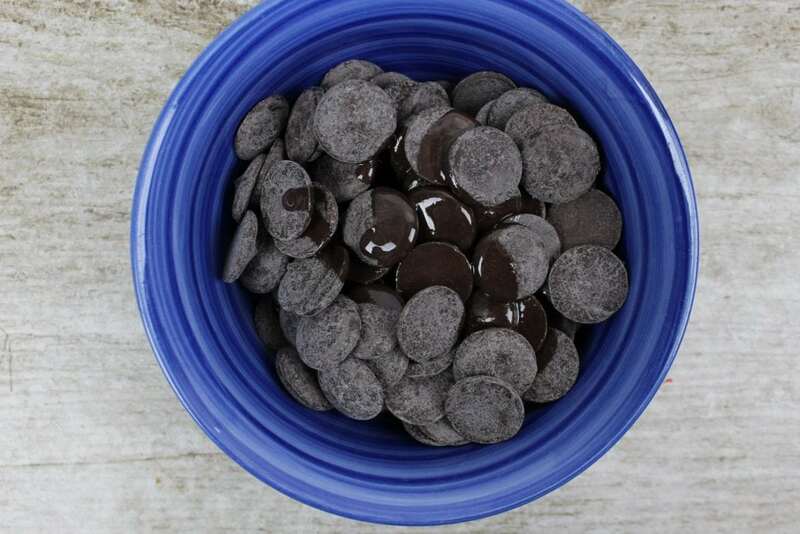 Refrigerate for at least 2 hours to harden the candy. There’s so much to discover at The Wizarding World of Harry Potter in Universal Orlando. When you go, stay at Universal’s Cabana Bay Beach Resort (see all our pictures and review). We love this resort for its retro vibe and two great pool areas. It was our destination for the Perfect Four Days in Orlando. AND check out our good friend TammileeTips’ Universal Studios articles. She’s got reviews on Loews Portofino Bay Hotel, Loews Sapphire Falls Resort, and Toothsome Chocolate Emporium.